By clicking on the File menu and choosing New →Java Project. By right clicking anywhere in the Project Explorer and selecting New → Java Project. By clicking on the New button ( ) in the Tool bar and selecting Java Project. Select the Project Layout which determines whether there would be a separate folder for the source codes and class files. The recommended option is to create separate folders for sources and class files. 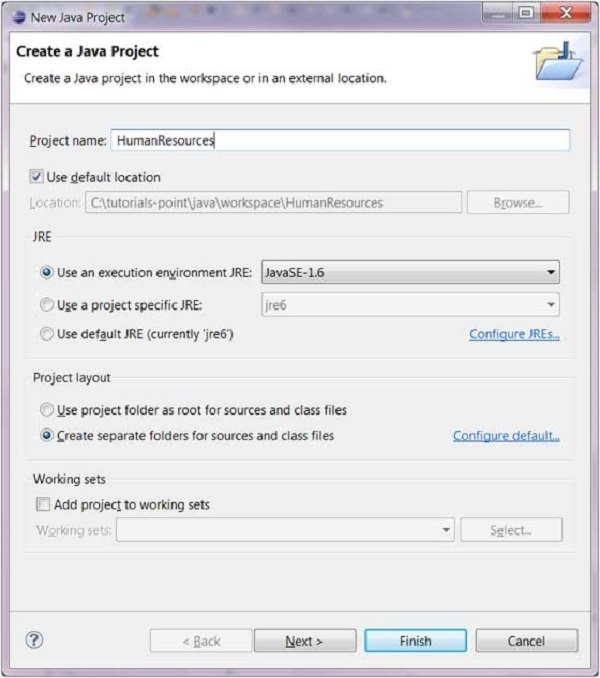 You can click on the Finish button to create the project or click on the Next button to change the java build settings. On the second page you can change the Java Build Settings like setting the Project dependency (if there are multiple projects) and adding additional jar files to the build path. 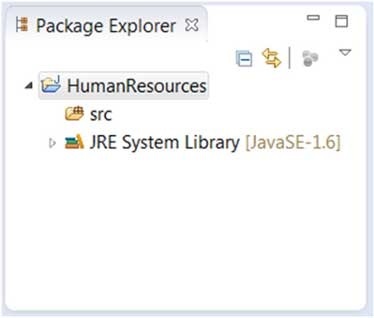 The package explorer shows the newly created Java project. The icon that represents a Project is decorated with a J to show that it is a Java Project. The folder icon is decorated to show that it is a java source folder.